Golden birthdays only come around once in your lifetime. This is a guide about golden birthday party ideas. My daughter will be 10 years old on 10-10-10. I would like to plan a special party for her. I need suggestions for a great 10-10-10 party. Sorry I don't have a party idea, short of a scavenger hunt, this is a extra special birthday. I would contact your local newspaper. Bet they would want to do a story on her with the 10-10-10, not many around with that day. I think turning 10 on 10-10-10 is more like a platinum birthday! How special for her! When my husband turned 29 on the 29th, I got him things and decorated in increments of 29. He loves jelly bellies, so he got 2.9 pounds, 29 socks, I blew up 29 balloons (while 8 months pregnant), etc. I like the idea of a scavenger hunt, maybe tying in pictures or memories of her ten years (or past birthdays), perhaps with 10 places around the house (or the town) with 10 small gifts. Ten is such a great age to have a golden birthday, she'll be old enough to appreciate and remember it and still think it's fun. My daughter's birthday is also 10/10/10, not golden (which would be totally cool!). We are doing a nail salon, 10 fingers, 10 toes, 10 girls, 10:00 party, chicken TENders. :) We also thought about sleeping in TENts if not to TENse for the momma. My daughter will also be 10 on 10-10-10!! We are taking a group of girls to a hotel for an over night and I am looking for some fun games/ideas. They'll be busy swimming, and we'll have pizzas, but I have nothing else planned yet! My son also turns 10 years old on 10-10-10. We planned a party at pizza hut with his 10 best friends, and we are having a karaoki party. We have judges and all. Very reasonable. My son will also be 10 on 10-10-10. It's such a cool birthday! I just had to post bc i am so excited to see these. I love the tents idea. We are also planning 10 friends, but 10, 10 year old boys, eek! We are going to go to a japanese steakhouse for $6.95 A boy and that's not bad for dinner for 10. Then we may just have to tent it up in our backyard! Thanks for the suggestions! P.S. Bowling is 10 pins. My youngest son also is celebrating his 10th birthday on 10-10-10! He thinks it's so awesome to have all the 10's for his birthday this year. For our 10-10-10 family party on Sunday, we are putting a time capsule together to be sealed and opened in ten years, Everyone is gathering things that are special to them this year and the b-day boy. My little girl will be turning 2 in October and it is also her golden birthday. I would really like to go all out for her birthday but have no clue what theme I should go with. I tossed around the idea of everything being gold from the table cloth to the cake but I'm not sure if that is for a two year old. She also has a lot of cousins anywhere from ages 9 months to 17. I would like to have activities for all ages to enjoy. I plan on doing an outdoors birthday because the family is so big and it is tough to fit them all in a house. Any help on this matter would sure be appreciated. I'm clueless. What is a golden birthday? Editor's Note: Here's Wikipedia's explanation: "A person's Golden Birthday occurs when they turn the age of their birth day (i.e. when someone born on the 12th of the month turns 12)." Me also, I am clueless. What gives as a Golden Birthday? Thought I would get on here and find out what one is/was? Thanks for the explanation. I had never heard of a golden birthday. I think the golden birthday is the year in which your age and the date are the same ie turning two on the 2nd. I have also heard it called a penny birthday. My son's b-day is on Halloween but we don't celebrate Halloween and he loves SpongeBob so we're doing a Luau and Spongebob theme. If you know what characters she likes go with that and incorporate the "gold" in there somehow. Good Luck and Happy partying! You can go to buycostumes.com and also NickJr.com for some really cool games, themes and party ideas. What about a "Bee Happy Birthday". You could do black and yellow decorations (like bumble bees) and write everywhere "Bee Happy for ______________ who is turning two today! I am sure you can find bumble bee decorations everywhere or print off your computer. The birthday child could wear a "bee happy" tshirt and you could get tshirts for the other kids or have the kids decorate their own. You could do games like a cake walk (but use bumblebee pictures for the children to walk on. Tell the children to fly like bumblebees while you play music and then stop the music and tell them to freeze. Goody bags could include bumble bee soap/stickers/candy. The birthday cake could be a bumble bee and say "Bee Happy for Susie's birthday! My husband is 57 and it' will be his golden birthday. What is a great family way to celebrate? I'm turning 22 this summer and it's going to be my golden birthday. I need ideas for it. Throw an 80's party. Those are always fun. Use a gold theme,like gold balloons.You can have glass center pieces with gold sand with a candle in the middle with white table cothes.Use your imagination.Incorporate whatever your likes are. You can also look up the significance of the number 22. If you are not into guns (i.e.. 22 calibre pistols), I'm sure that doing a quick google search can help you with some other less militant ideas, such as coming up with a trivia game about all things 22! What should I do for my 16 year-old son's golden birthday? He's turning 16 on the 16th. He acts disinterested, but I think if nothing special happens, he will be disappointed. What should I do? For guys, it is still the age where they don't want to be treated like a "baby". Is he getting his license? That's a big deal in it's self. I would have him invite a few of his friends over for music, food and movies. Get a cake, chips and some soda. Or vise versa with your family. If he doesn't want to do any of that, take him out to a good restaurant and order him dessert. My son is 19 now. From about ages 7 to 16 we invited as many friends as we could afford to the movie of his choosing, complete with popcorn, beverages and candy. We go later in the evening so they feel like they're staying out late, but they will have already eaten so you don't have to feed them a meal too. We see the movie too but we sit away from them and we can still keep an eye on them. Golden birthday ideas needed for a 4yrs old girls party? Have a tes party! My daughter's birthday is in April and I have been snatching up REAL tea cups I find at thrift stores. These will be the party favors that her friends take home! I bought a REAL teapot and we plan to serve some kind of apple juice or sprite soda mixed with grenadine or something. I have beautiful platters that we will srve "tea sandwiches" and "tea cookies" on. I found some adorable fans at my local craft store that had feathers on them and also some feather boas that the girls can wear. As an activity, you could have the girls make their own fans or garden tez hats with feathers and flowers and toile! You could also do mini-manicures for the girls or some other "grown up" spa treatment. Anyways, that's what my daughter and I are planning for her birthday... she will be 8, but you can scale back a bit for a group of 4 yr olds! We are sending Daddy and her 5 brothers out for the day! haha Since she is the only girl, we are doing it very "girly"... but you could invite Daddy and Grandpa to be part of the tea party for a 4 yr old! :) GOOD LUCK! If it's all girls, take them to the nearest beauty school for manicures - it's inexpensive & fun! Then hand out goody bags with lip gloss, brushes, & other beauty items - look at the dollar store or at orientaltrading.com. I'm turning 26 on the 26th of this month. I don't know anything about the significance of my birthday or anything else. Does anyone have any suggestions or can anyone help me? My daughter will be turning 13 for her Golden Birthday! Please help me with ideas, including for a sleep over. My daughter is having her golden birthday on Dec. 7th, 2011. Any ideas on what to do? We live in the northwest Indiana. 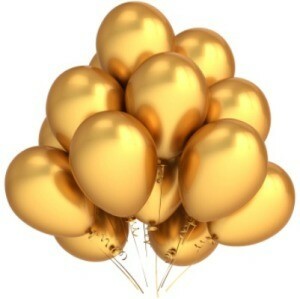 I have never heard of a "golden birthday" until I started coming to this site! Well, what are her interests? You can do many things with little girl parties. Dress up party, Princess party, sleepover party...etc. I need some ideas for a 31 year old female's golden birthday on Halloween. She is also carrying my 1st grandchild. We have a Halloween party every year for her birthday, but want this one to be a little more special. Any ideas would be greatly appreciated. Thanks. I have 2 days to make my principal's birthday special with some homemade idea. I am turning 19 on the 19th of October so I have less than a month to plan something special. Please help me with some fun ideas! My granddaughter will be 4 on 11/4/14. We are having a family event, but I am looking for ideas to make it special. It cannot be expensive. It's hard to plan an outdoor event in November. Any ideas; themes, or locations? I'm turning 15 on the 15th of September and have no idea on what I should do. I don't really have enough friends to do something big. Where did the idea of a golden birthday come from? Is there a theme for a 2 year old golden birthday? What would be a fun idea or suggestion for a 29th golden birthday? What to do for 4 year old golden birthday? What to do gift ideas? I need lots of different ideas for an 11 year old girl's golden birthday. What should I do for my daughter's golden birthday? I saw ideas for parties for 10 yr. olds, but my son will be 10 on 10-10-10. We've already decided to go bowling with 10 friends. What else related to 10 could I do? I am looking for birthday party ideas for my son's golden birthday and he is will be ten in March. Any good birthday ideas will be appreciated. I want to limit the amount of money I spend. Editor's Note: For people who may not know, your golden birthday is the birthday where you turn the age that is the same as the day of the month you were born. For example, someone born March 6th, would have a golden birthday when they turned 6. Golden birthday party ideas. My daughter will be celebrating her golden birthday this year. She will be 6 on the 6th day and it's 2006 in the 12th month. Any ideas of what I should do?